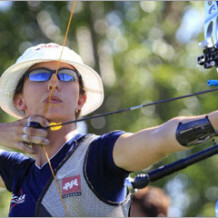 A veteran of three Summer Games, Jennifer naturally gravitated to the sport of archery, which was a favorite of her family. In fact, her father gave everyone in the family a bow for Christmas presents. 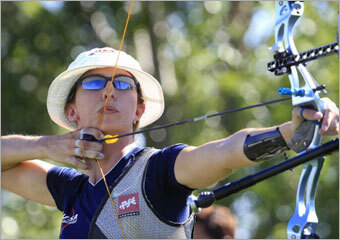 Jennifer’s first major competition came at the U.S. Indoor National Championships when she was 14 years old. She didn’t place well, but she knew that she wanted to try again. And try she did, becoming an outstanding world-class competitor through a combination of determination and practice…lots and lots of practice. In her typical competition preparation, Jennifer, a native of Cheyenne, Wyoming, practices six days a week with one day off, and trains anywhere from three to nine hours per day. But beyond shooting endless amounts of arrows, elite archers like Jennifer need a high fitness level so they can shoot with greater intensity and frequency during training and with less fatigue during competitions. She also embodies everything a successful archer requires, including good vision, hand-eye coordination, balance, flexibility, strength, aerobic fitness, and a low level of body fat.